On March 25, 2019, the Facebook Page of URL-The Ultimate Rap League announced the passing of battle rap icon Akeem Mickens, otherwise known as Tech 9. He was 48 years old. No cause of death was given. The statement from URL- The Ultimate Rap League stated that it was with a heavy heart that they sent condolences and love out to the family and friends of their brother, friend, and Battle Rap Legend Tech 9. They said they loved him, missed him and may he rest in power. Tech 9 one of the originators of battle rap, started his career as a professional battle rap artist in the legendary leagues Street Arena and Lionz Den. However, it was not until he joined the Ultimate Rap League (URL) that his name became known. It was there he shifted the way listeners listened to rap. He was known to present his lyrics with passion and force in delivery and ingenious wordplay. He also inserted humor into his rhymes. 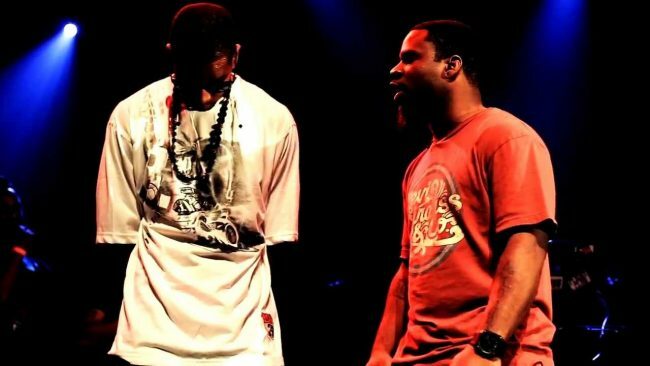 Tech 9 was also memorable as an emcee. He will forever be known for the commentary he provided next to Jay Blac on Champion, the Battle Rap Platform. Known for his catchphrase “Microwave Stopper,” he was always honest in his critiques and never sugar-coated his feelings. Tech 9 was also known for his generosity, sharing his knowledge about his craft by teaching other artists. Members from the Battle Rap Community took to Twitter to tweet their condolences. “DROGAS WAVE” NOW PLAYING @LupeFiasco said: Tech 9 RIP. One of the best battle rappers. I send condolences to his friends and family. Lloydbanks @Lloydbanks said: RIP to Tech 9 a Philadelphia legend.